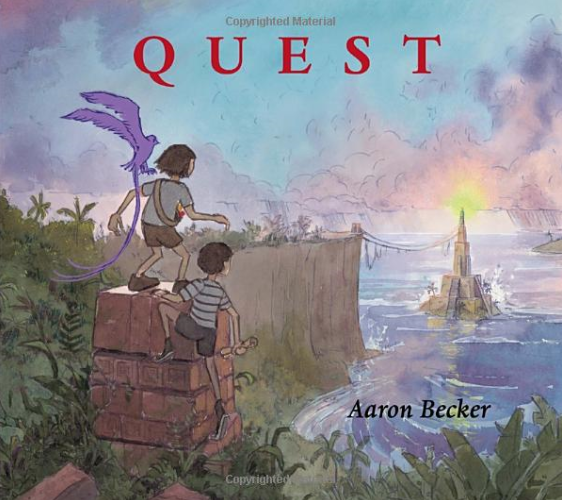 Aaron Becker has created two of the most stunning books I have ever seen. 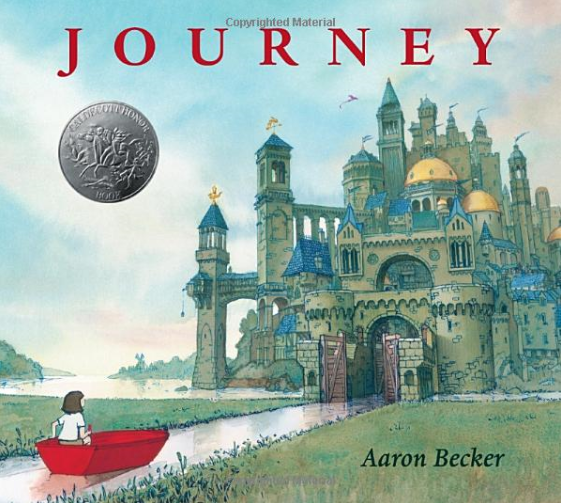 Journey was published in 2013 and Quest was published in 2014. This is a trilogy so one more amazing book is to come, and I cannot wait to see what Mr. Becker has in store for us. One thing I am sure about is that it will be stunning! Sometimes it is hard to know what to do with a wordless book, or what it should look like when you go through the pages with your petite. I want to assure you that you are not alone if you happen to feel like reading a wordless book is a little out of your comfort zone. I recently came across this wonderful document written by, none other than, Aaron Becker. There are so many helpful tips. Even if you’ve been sharing wordless books with petites for years, you might find this article to be helpful, I know I did. I love the idea of asking what clues they see, which makes it so engaging and fun and for all ages. One of my favorite tips is to take your time when reading a wordless book, since the words are not there to determine how long we spend on the page, I think this tip is so incredibly helpful. When reading a wordless book there are so many possibilities and when the books are so beautifully drawn the possibilities are endless and you’re really able to follow your petites lead. Another aspect to these books is the incredible amount of detail it makes each read new and exciting.